WhatsApp and Messenger are extremely popular instant messaging applications all over the world. They are cross-platform apps available on iOS, Android and Windows devices. But, there is iMessage, which is iOS exclusive and is extremely popular among the iOS users. In fact, most iOS users prefer iMessage over any other app. unfortunately; iMessage can only be used on Apple devices including iPhone, iPad and Mac. A lot of times Windows users wonder if there is a way to use iMessage on Windows PC. The good news is that there are some ways. 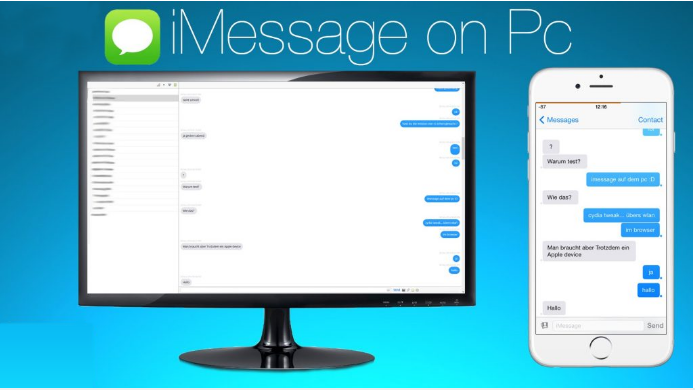 In this article, we share with you the best ways to use iMessage on Windows PC. Keep reading! Well, it may seem a little surprising, but it is true. You can use iMessage on Windows PC using the Google Chrome browser. However, what you need to know is that in order to use this method you must also have a Mac computer with iMessage. The process I am going to lay out here lets you remotely access iMessage and other Mac apps from Chrome. Please note that with this method you cannot have iMessage independently installed on PC. There is another method for that which we will talk about later. You will need a Mac computer with iMessage. You also have to make sure that Mac is turned on at the time you plan to use iMessage on Windows. Now you can access all your Mac files and apps from a remote computer over the internet. You can also use iMessage remotely. Please note that both the computers need to be connected to the internet in order for this method to work. Both computers do not need to be on the same network though. While Chrome Remote Desktop app is effective, you may experience slow performance. But, it is one of the best ways to access iMessage on PC remotely. If you don’t want to use Chrome, you can use other remote desktop sharing apps, such as Teamviewer. But, these apps require a subscription fee while Chrome method is absolutely free. You can further encrypt your communications using iMessage via Chrome with a VPN. The above method involving Google Chrome requires you to have a Mac computer in order to access iMessage on PC. But, what if you don’t have a Mac? Buying a computer especially for a messaging app will be an overreach. Also, Mac computers don’t come cheap. They are pretty expensive. What if there was a way to actually use iMessage on Windows PC without having to buy Mac. Thankfully, there is a method and we will talk about it here. For this process we will use a tool called iOS emulator. Let me give you a brief overview of what an emulator is. As you may have already figured, the job of the emulator is to simulate the mobile environment on your computer. 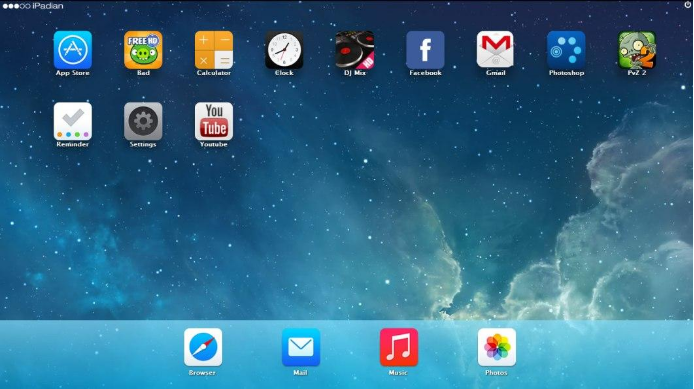 If you have iOS emulator on your Windows PC, you will be able to access a part of the iOS ecosystem. You will have access to some of the iOS apps including iMessage. Unlike Android, there is no full-fledged iOS emulator yet. But, there is an option which should be good enough for you as you just want to access iMessage. We will be using the iPadian iOS emulator. It is one of the best. It is as simple as that. You now have iMessage on Windows PC and running successfully. Isn’t that amazing? I think it is. What you need to know is that iMessage has not been installed as a desktop application. You will be able to access it only through iPadian. So, whenever you have to send iMessage, you will need to launch iPadian first. Please also note that iPadian is not a full-fledged iOS emulator and it is still in the beta phase. Therefore, you may experience performance issues at times. Also, it sometimes does not work. If you are experiencing any issues with this emulator, just close the app and run it all over again. We understand that it is not the finest solution but this is what we have at this time. There is no other way to use iMessage as a standalone app on Windows. iMessage is an incredibly popular messaging app among the iOS users. Windows users often desire to be able to use this service on their computer. We bring to you two effective methods to use iMessage on Windows PC. I hope that you like these methods. I also hope that the iPadian method works for you smoothly. Renuka Sharma is one of the writers, who loves to read and write about latest gadgets and trending apps. She loves to be surrounded by the technology and covers a wide range of technology updates. Apart from technology, photography attracts her. Next Why buy auction software?